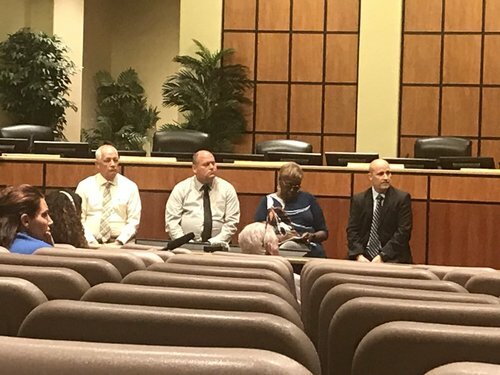 Follow our live coverage of the Lee County School District town hall meeting on bus stop safety. 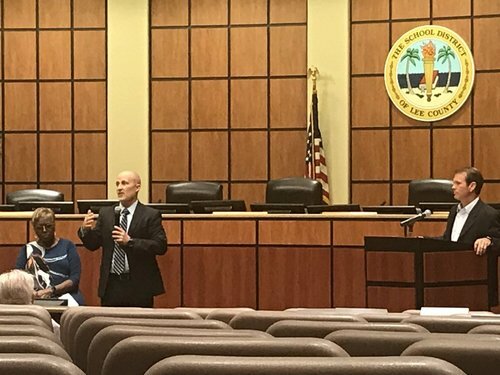 Now, the @LeeSchoolsSuper Atkins is in the @LeeSchools Board room, chatting with Cape Coral City Manager John Szerlag before the meeting. More people are filing in now. ⁦@markbickel9 ⁩, ⁦@SarahJarvisNP ⁩, ⁦@CoryODonnell ⁩ and ⁦@AndrewWestphoto ⁩ are live tweeting. Lee County officials are now in the @LeeSchools Board Room. If you have comments or concerns, you can email #BusStopSafety at LeeSchools dot net. They will also be taking questions on the @LeeSchools FB Live feed. 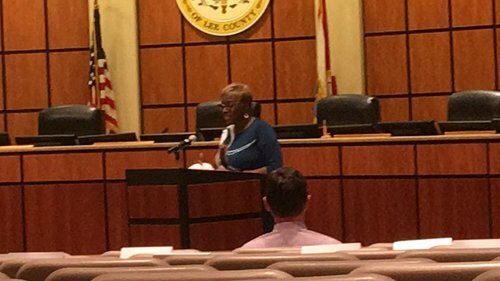 The @LeeSchools #BusStopSafety Town Hall begins with opening remarks from School Board chair Gwyn Gittens. 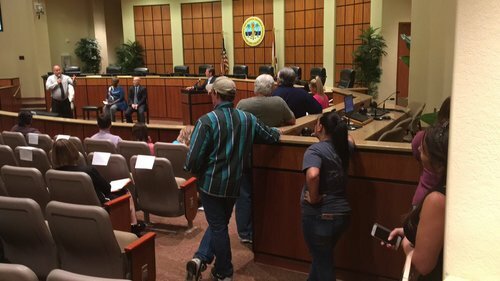 People have begun to line up for public comment at the @LeeSchools #BusStopSafety Town Hall. 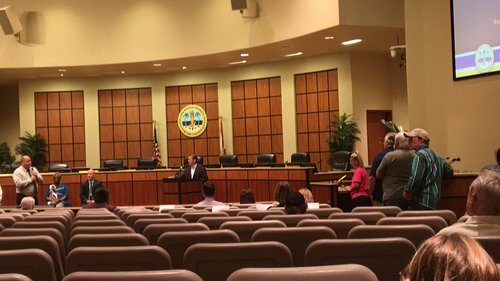 ~15 ppl have lined up for public comment here in the Board room. Sidewalks and Bus Stop seating for kids around Cape Coral. 1. Look into federal and state grants to get sidewalks and lighting. 2. Speed Bimps near bus stops. 3. Taking school buses into gated communities. 1. Where do we go from here? What can the community do? 2. What’s the fastest thing we can do as a community? 3. How accurate are the numbers on bus stop changes? Likely here some more thoughts from Facebook Live. 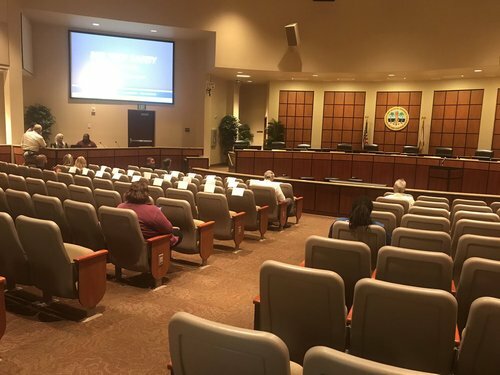 One member of the public suggested installing solar lights in 100 bus stop locations. 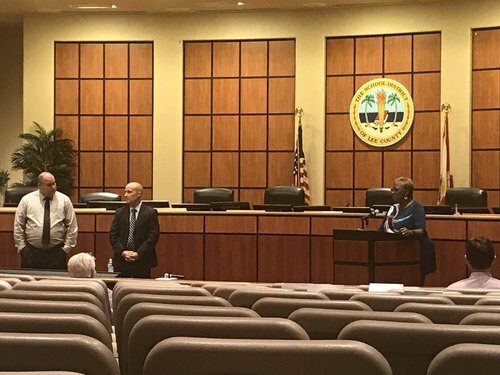 He says if a grant goes through, he committed to installing those 100 solar lights at bus stops around the county before the start of the next school year. public speaker from Benches for Babes. Saturday is their next bench building event. She hopes to see the @LeeSchools Officials there. 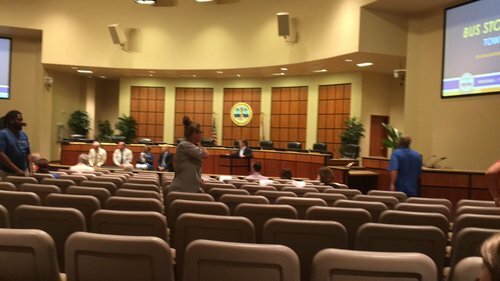 Rep for Rotary Club of Cape Coral has a contract in hand for benches and lighting for the bus stops. The Rotary Club needs to get the map of the bus stops to make it happen. 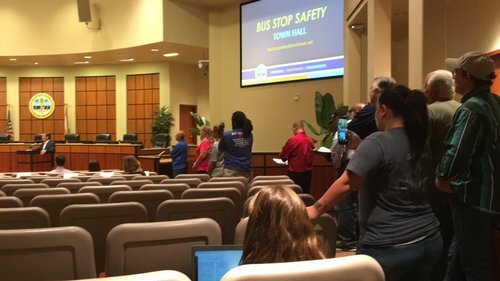 The @LeeSchools #BusStopSafety Town Hall has adjourned.